Graph Expo Highlights. Exhibitors preview their trade show plans..
Graph Expo is currently taking place from September 13 to 16, 2015 in the South Hall of McCormick Place in Chicago, IL. The event is co-located with both the CPP Expo and Process Expo events, which run from September 15 to 18 in the North and East Halls. 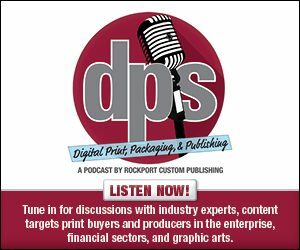 As print professionals take over Chicago, a variety of relevant products and companies are available on the event’s show floor. Here are some of the vendors exhibiting. As you walk the aisles of Graph Expo, stop by booth 3752 to say hello, pick up a copy of the latest issues, and re-up or start your free subscription to DPS magazine. Please click here to see part one, featuring additional Graph Expo exhibitors.